Sound effects (audio effects) are artificially created or enhanced sounds, generally applied in movies, TV shows, video games, etc. The sound effects can strengthen the reality and the atmosphere. For instance, the sound of sudden shock would make the video more exciting and vivid. Besides, there’re many other sound effects like chirpings of birds, insects, people’s laughter which can also improve a video. For those people who are looking for special sound effects and adding them to video, this article will show you how. Fortunately, there’re many websites that allow users to download sound effects. In the section below, I’d like to recommend some websites from which you can download and save preferred sound effects without any costs. 1. Freesound.org: On this site, you can search for any sound effect as it has an extensive library. Also, it classifies sound effects in different tags, such as alien, film, electronic and many more. This feature enables users to find their favorite special sound effects quickly. Meanwhile, you will learn more ideas from its recommendation. 2. Soundbible.com: Soundbible offers thousands of free sound effects for everyone including funny voice, fart, dogs’ barking, etc. In addition, this site will update the sound library every week. Undoubtedly, most of popular sound effects are available on this site. 3. Audiomicro.com:Another site offer free sound effects is Audiomicro. On this site, you will see multiple categories of sound effects like free animal sounds, free cartoon and comic sounds, free human sounds and plenty more. When you have downloaded the sound effect you require from the site. 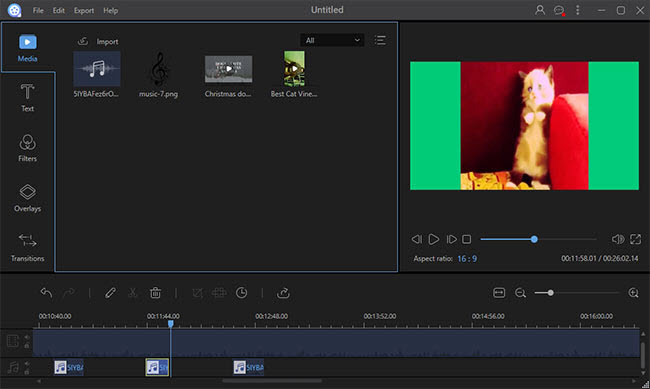 You can use some media file editing program to add those audio tracks to video. The following methods are quite useful to do this. There’s a media file editing program called ApowerEdit that supports most of media file formats including image, audio and video. Also, this program offers various editing options like trimming, cropping, merging, adding text, filter, transition, etc. 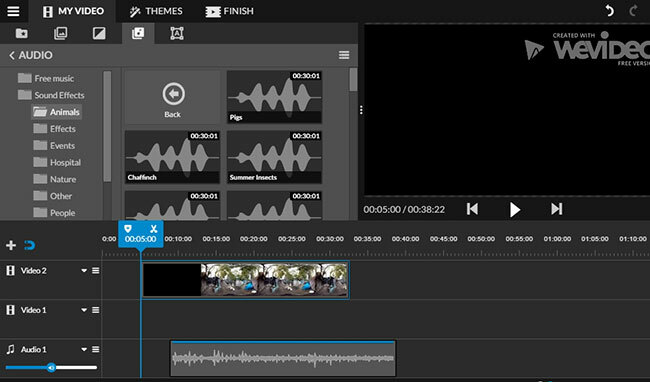 Therefore, you can not only add sound effects, but customize the video by adding text, transitions and filters. 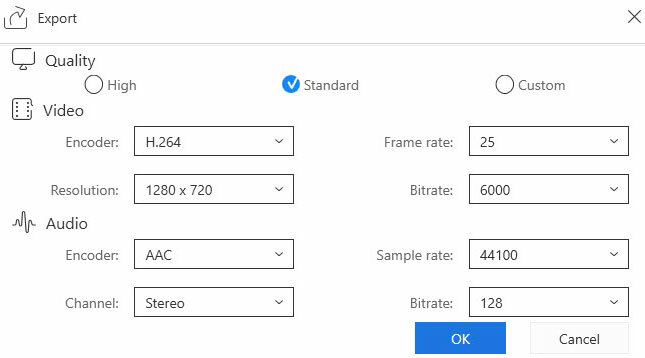 Furthermore, before exporting the media project to video, it also allows you to customize resolution, bitrate, framerate, etc. When it comes to video editing, some people may reckon it a tough job. Don’t worry, follow the steps below and these steps will make it much easier for you. Click the button below to download and install ApowerEdit on your computer. When the installation process completes, double click the desktop icon to launch the program. Drag the target video file and the downloaded sound effects into the program. Right click the video and then choose the “Add to Project” option. Next, drag the sound effects to audio track. Select a certain sound effect and then drag it to desired position. Next, repeat this step for the rest of sound effects. Click “Export” > “Export to video” and then rename the media file and select output folder. Last, click “Export” button to start generating. You also have the option to customize quality, resolution, bitrate for the video. Before exporting video, click the gear icon. Upon the panel, customize the video based on your preferences. Click “OK” button to confirm changes. Along with this, there’s an online application can also insert sound effect. Check the following part to learn more details. This tool is a web-based application that provides free service for users to edit media files. It features basic editing functions like trimming, cropping adding themes, etc. Furthermore, it comes with a library for sound effects from which you can directly download preferred audio track. It classifies the sound effects in to different categories like animals, events, hospital, and nature and so on. Follow the instructions below to learn how to add sound effects to videos. Click “Create video” and then upload local video clip. Enter editing page and drag the video clip to timeline. Go to “Audio” tab and select needed sound effects for video. Drag the audio effect to certain position, next click “Finish”. Set a title for your work and then press “SET” button. Choose quality (480P or HD/4K) and then press “FINISH” button. This online application is quite simple and easy to use. Unfortunately, it is rather time consuming having to upload the video file and once completed re-download the finished version. Plus, the video edited with Wevideo will be attached a watermark on the right top of the corner. Generally speaking, both of these two methods are quite workable in adding special sound effects to video.